Some people believe Oregon coffee is a culture, not a beverage, with more than 200 specialty coffee shops in the state. 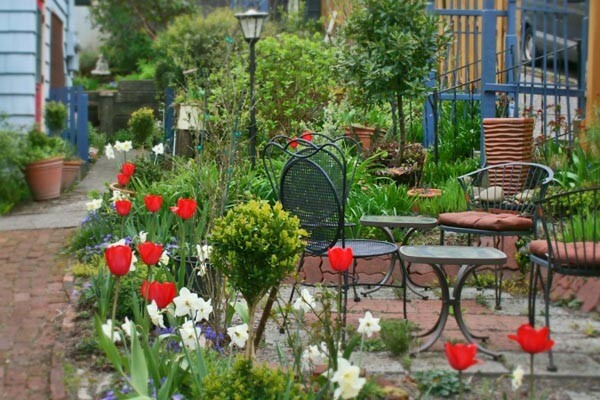 Sometime during your stay, you’ll probably find yourself exploring Astoria’s Riverwalk, and wish for a good cup of coffee and a place to relax and enjoy the view of the Columbia River. 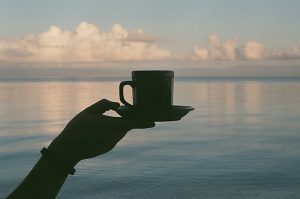 There are lots of great specialty coffee shops throughout Astoria – these three also provide that view. The Coffee Girl is a cozy shop in the West’s oldest cannery building at the end of Pier 39. Its view of the Columbia River is unbeatable – both the coffee shop’s windows and its patio overlook the water. Why the name? The shop features pictures of Astoria’s original ‘coffee girls’ who used rowboats to bring food and hot coffee out to the fisherman. Here’s a place where you’ll be able to relax and enjoy the passing ship traffic while you sip your coffee. With luck, you’ll see sea lions or seals frolicking in the distance. The Bumblebee Cannery Museum and Rogue Ales Public House are nearby on Pier 39 as well – all are about a 20 minute walk from the bed and breakfast. You’ll find 3 Cups Coffeehouse on Marine Drive, right under the Astoria-Megler Bridge, about a 20 minute walk from the bed and breakfast. While not on the waterfront itself, tables have a clear alley-view of passing ship traffic on the river. The independently-owned shop also boasts a clear interior-view of Columbia River Roasting Company’s roasting and packing floor, and Thundermuck coffee is served. The Coffeehouse has received many local Reader’s Choice awards. If your day’s activities take you farther west along Astoria’s Riverwalk, Wheelhouse Coffee Company has the view for you. You’ll find comfortable seating with lots of windows inside, and plenty of outdoor tables to take in views of the river traffic. The Wheelhouse is in the historic downtown area, about a 10 minute walk from the bed and breakfast. 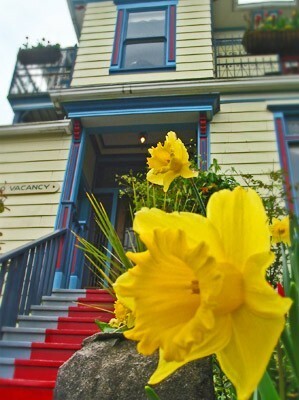 No matter where you wander in search of that perfect cup with a view, Judith will be waiting to welcome you back to Clementine’s Bed & Breakfast – your home away from home in Astoria. Why not give us a call and book a weekend getaway today?